This is the first miniature knife I have scrimmed. 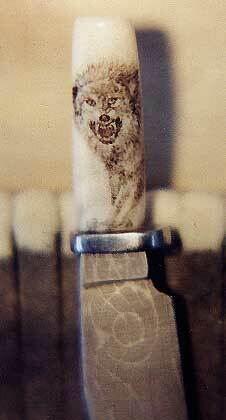 The client requested a snarling wolf in color on this ivory and Damascus knife. The picture to the left shows the miniature knife stuck in a book of matches to show the size of the knife. I do have to say that it was a challenge.